Watch the video for this recipe. 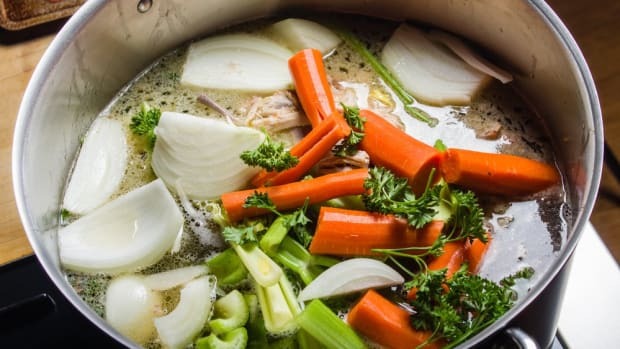 This turkey stock is made with your leftover turkey carcass. It is very easy to do and a simple way to make your own and store it in the freezer for soups and sauces. This recipe will also save you money on buying broth at the store! Cut up turkey carcass with kitchen shears so it will fit in your stock pot. Add remaining ingredients. Cover everything with water by at least 2 inches. Bring to a simmer. Skim if necessary, simmer for about an hour.